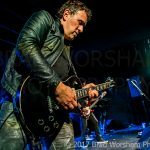 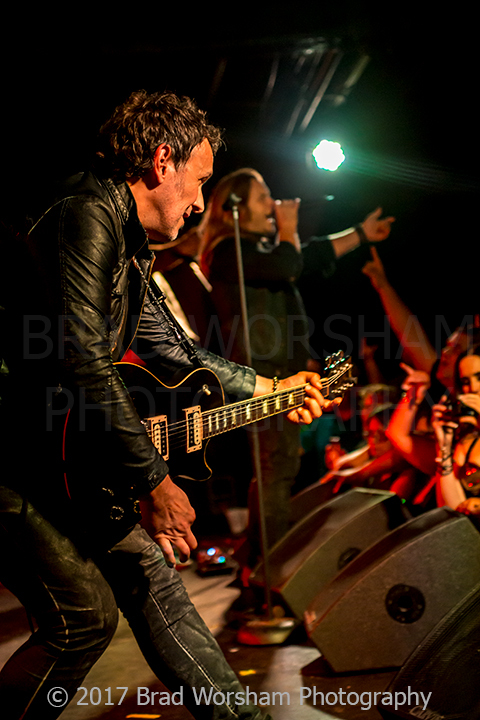 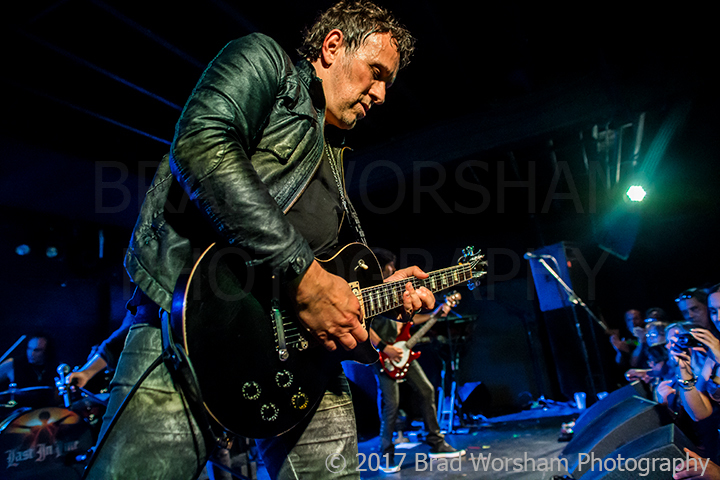 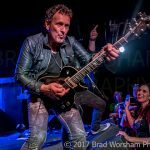 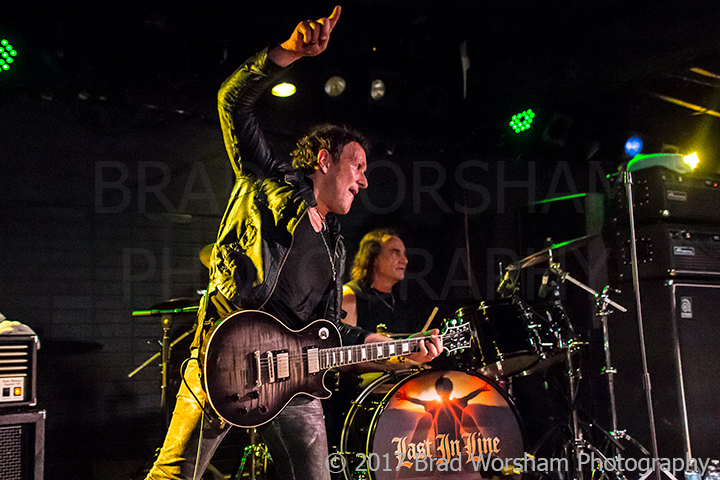 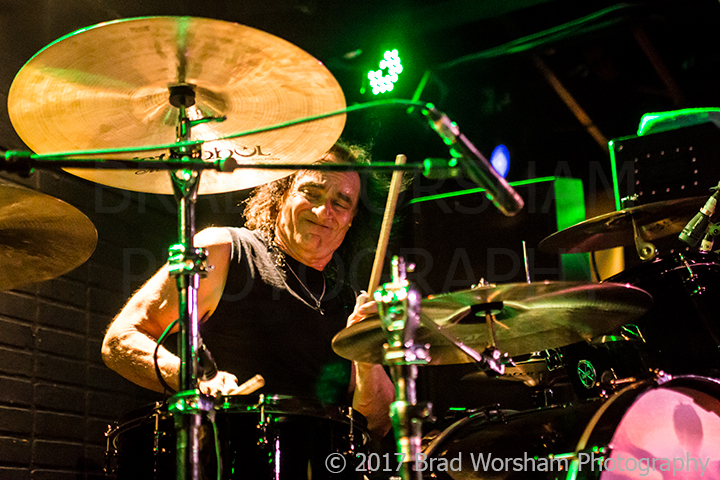 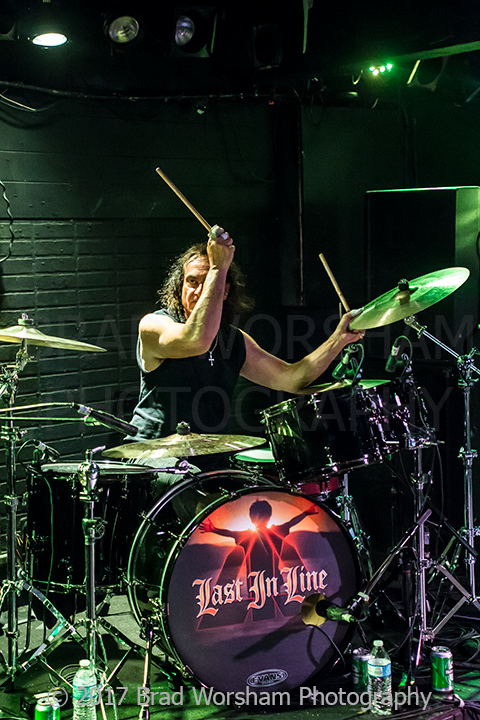 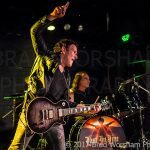 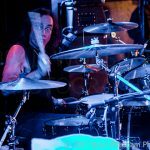 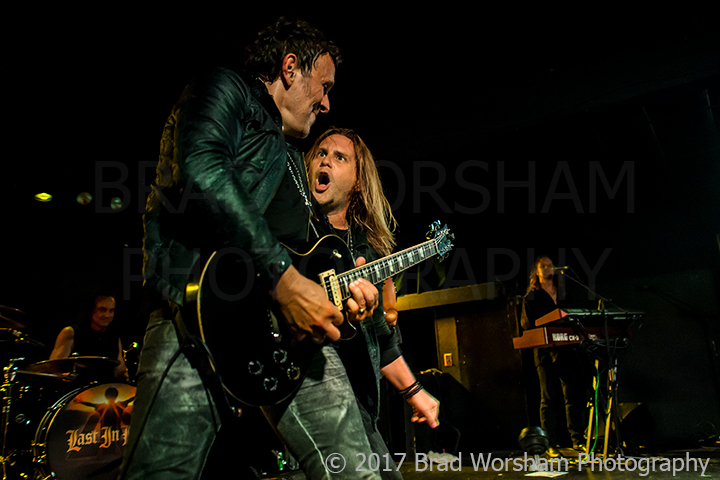 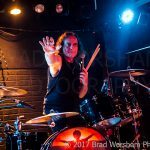 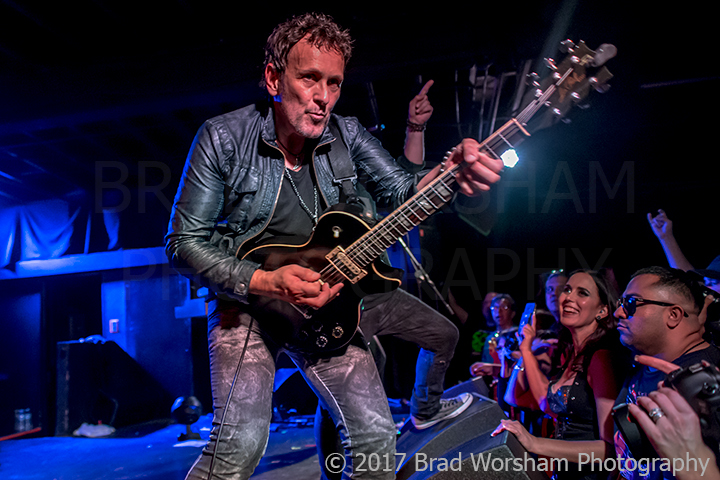 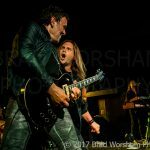 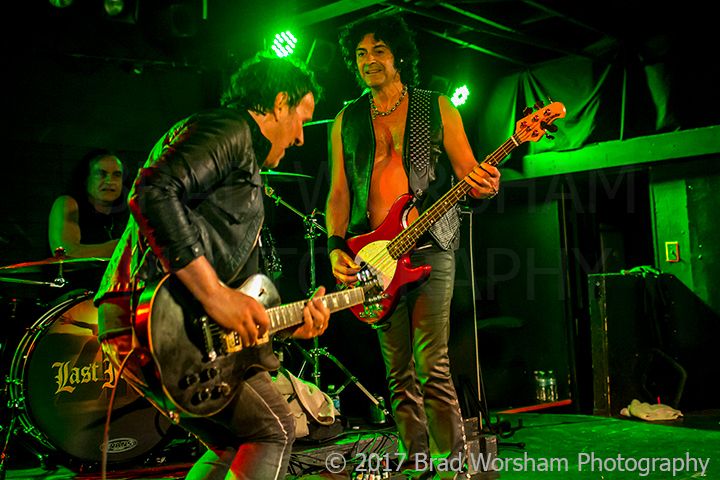 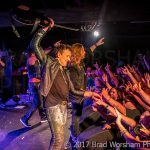 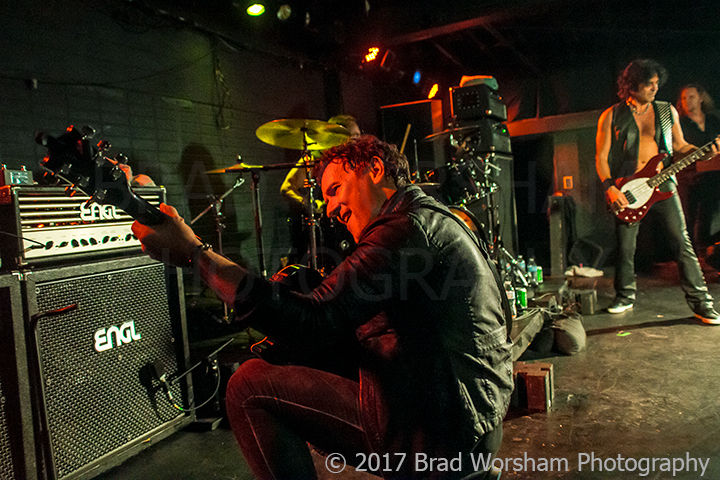 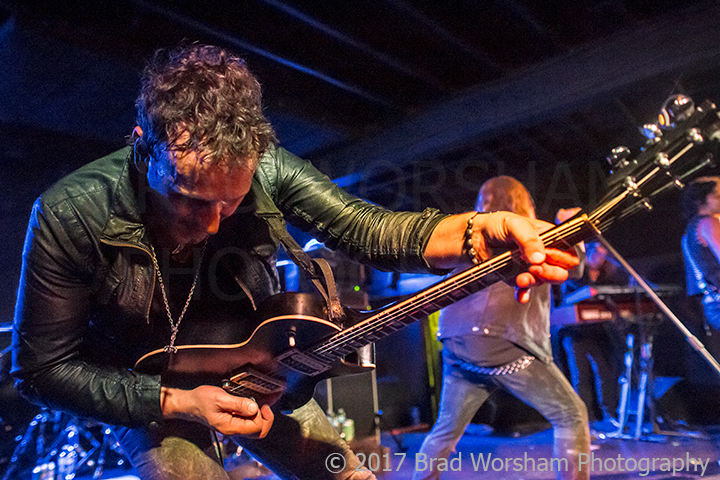 July 15th 2017, Brick By Brick, San Diego CA: Formed in 2012, Last In Line reunited the original members of the Dio band, Vivian Campbell, Vinny Appice, Jimmy Bain and Claude Schnell, to perform the songs they recorded together in the early ’80s, with vocalist Andrew Freeman at the helm. 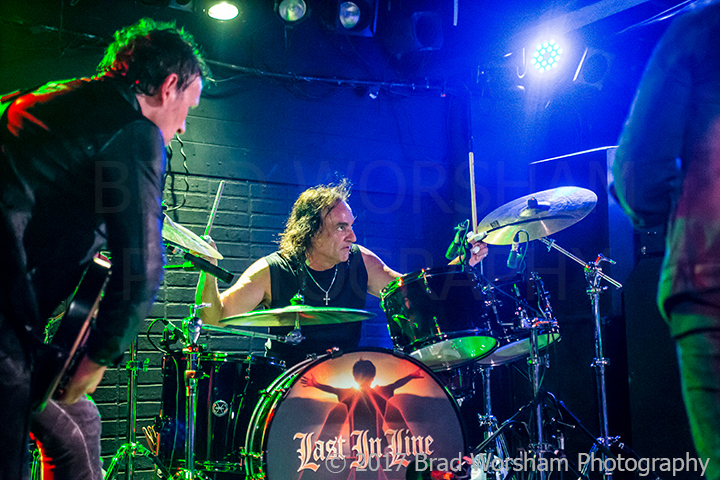 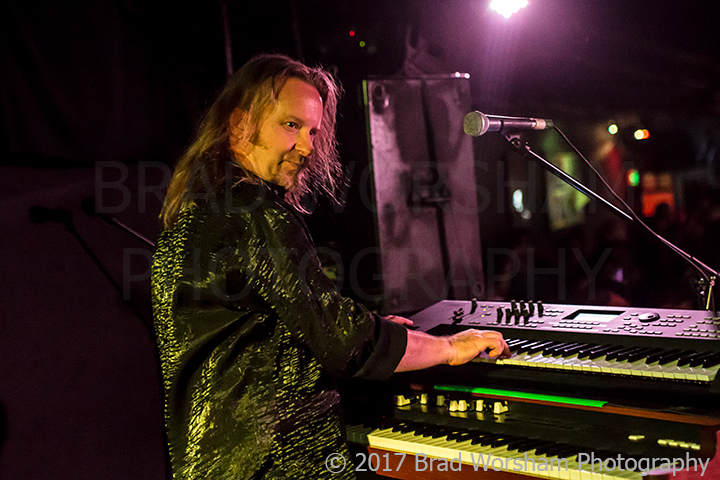 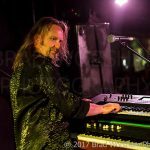 But soon after, Last In Line evolved into a band that also wrote and performed its own material, releasing their debut album ‘Heavy Crown’ via Frontiers Records in 2016, which they recorded as a four-piece, having parted ways with keyboardist Schnell before recording. 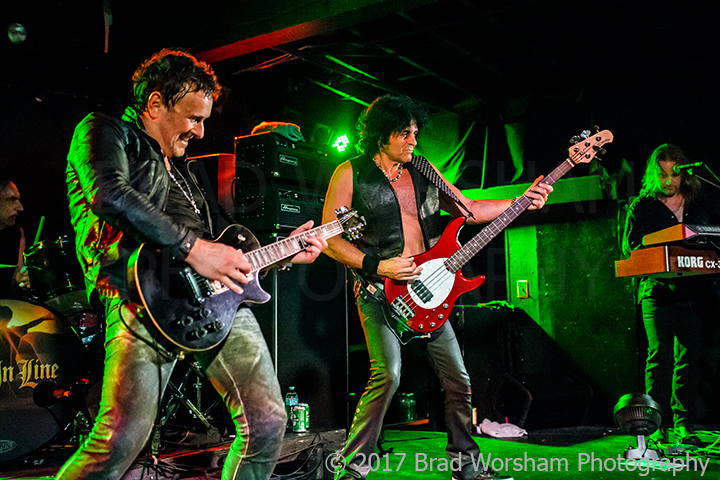 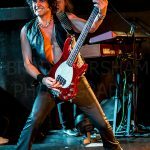 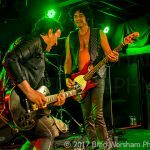 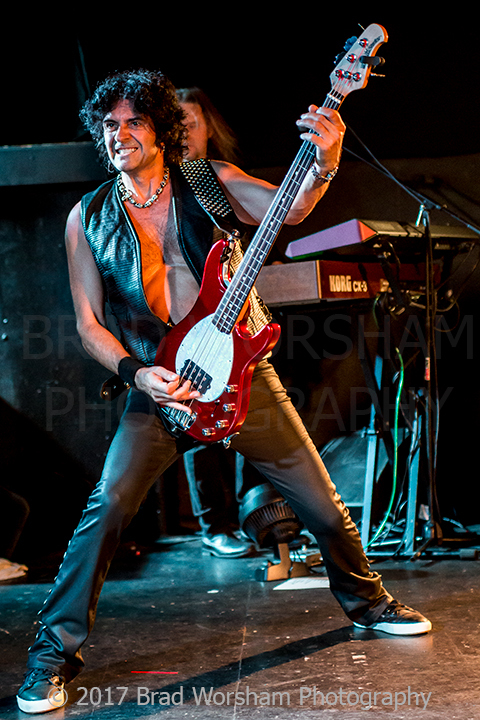 Then, following Jimmy Bain’s passing, Phil Soussan joined the band on bass and Erik Norlander on keyboards, and Last In Line continued on. 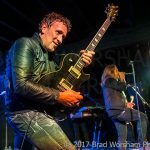 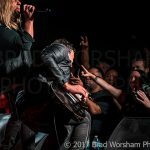 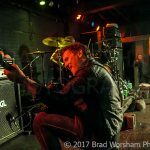 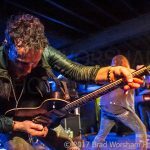 As part of a short run of US headline dates, the band visited Brick By Brick in San Diego CA last Saturday July 15th to play in front of a completely packed house, and with the kind of set they delivered, did themselves and the late greats Ronnie James Dio and Jimmy Bain no injustice whatsoever. 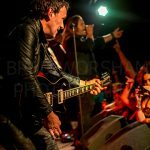 The headline act hit the stage at 10:40 PM, by which time everyone inside the building was more than ready and excited for what was to come. 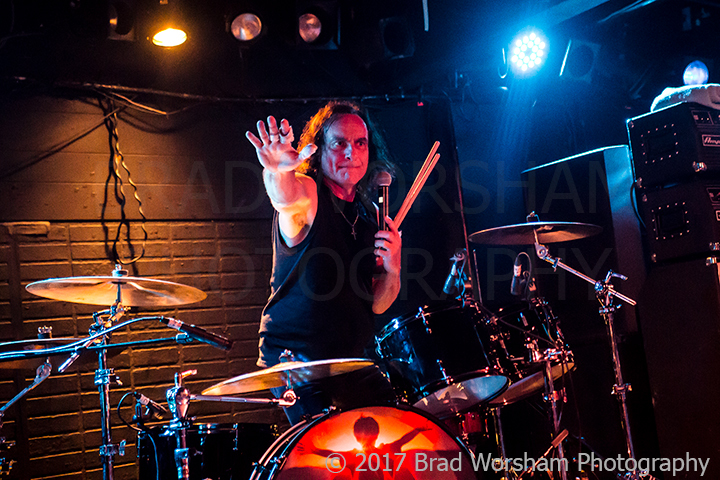 Since Ronnie James Dio’s demise, countless Dio tribute bands have surfaced, but when it comes to the sheer performance and execution of those songs, Last In Line proved themselves to be far above the rest of the pack, and anyone in attendance here at Brick By Brick seeing this band for the first time was simply blown away by how flawlessly perfect yet magnetically entertaining and high-energy Last In Line was in playing anything and everything they chose from the Dio catalog. 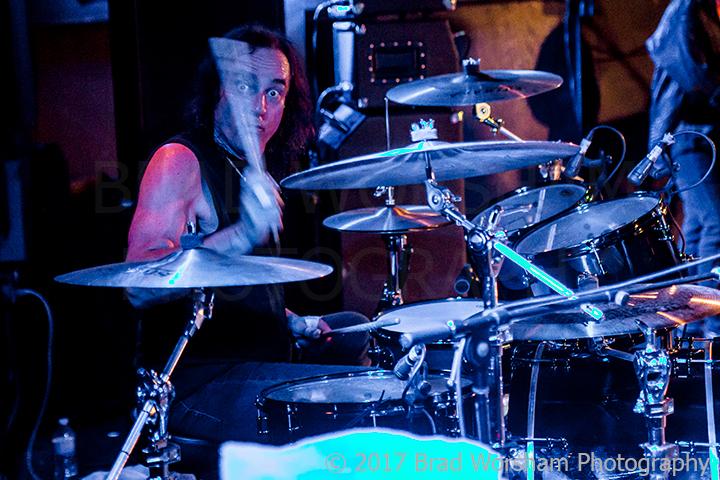 Vivian Campbell’s guitar tone is immaculate and exemplary, Vinny Appice still hits his drumkit hard with precision, Phil Soussan is as good a replacement for Jimmy Bain as the band could have hoped and dreamed of finding, and Erik Norlander allows them to include those incredible keyboard-centric Dio songs in the set list. 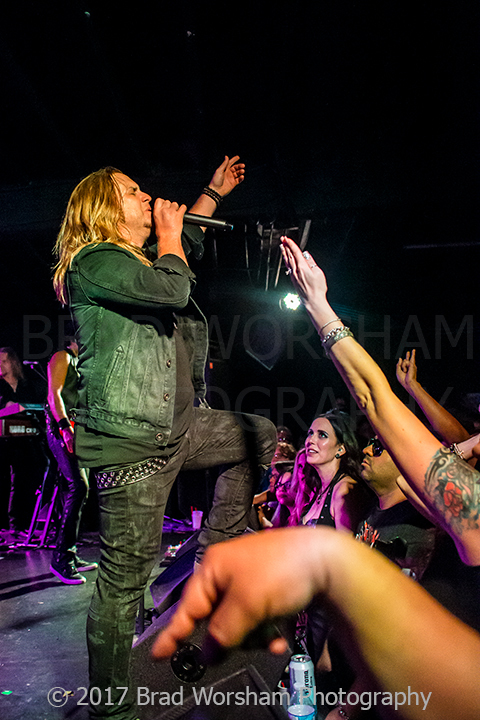 But the most crucial part of any Dio tribute band has to be, without question, the vocalist. 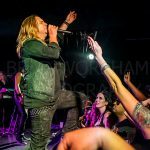 Andrew Freeman may not be a household name but he sure deserves to be, for he has stamped his authority as one of the finest metal singers of the modern-day through his exploits in this band. 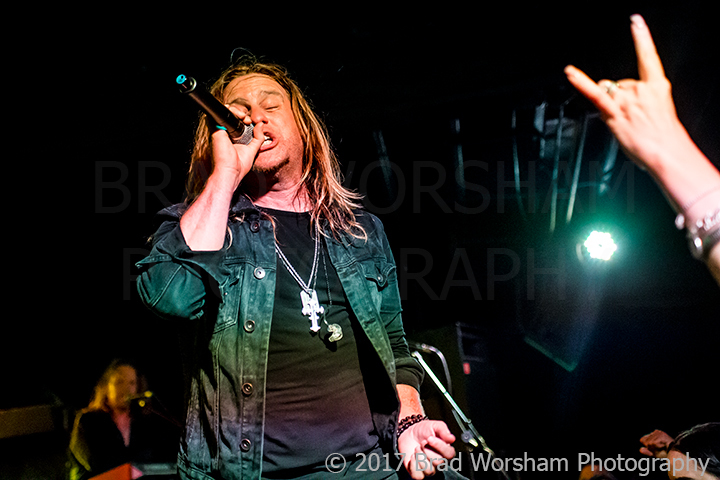 He ticked all the right boxes and his vocal delivery, stage presence and banter was all absolutely top-class. 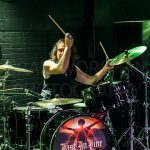 No one can ever replace Ronnie James Dio, but it is no exaggeration to state that watching and listening to Andrew Freeman performing live was like witnessing the rebirth of the godly singer. 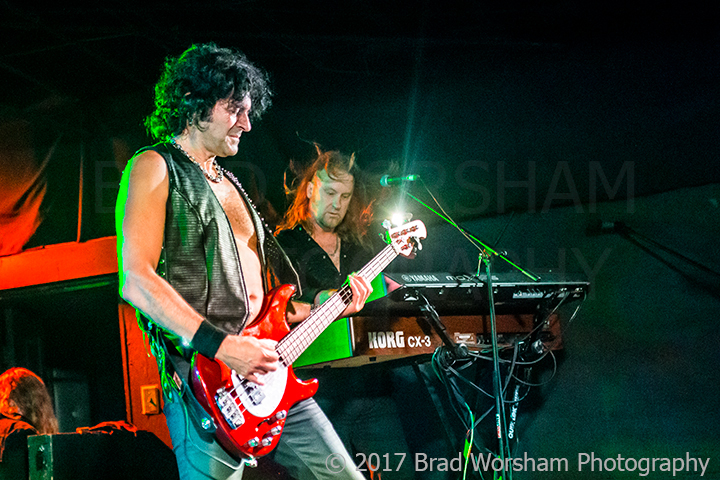 They played the classics and some excellently chosen deep cuts from the first two Dio albums, but as alluded to earlier, there’s more to Last In Line than merely being a tribute act. 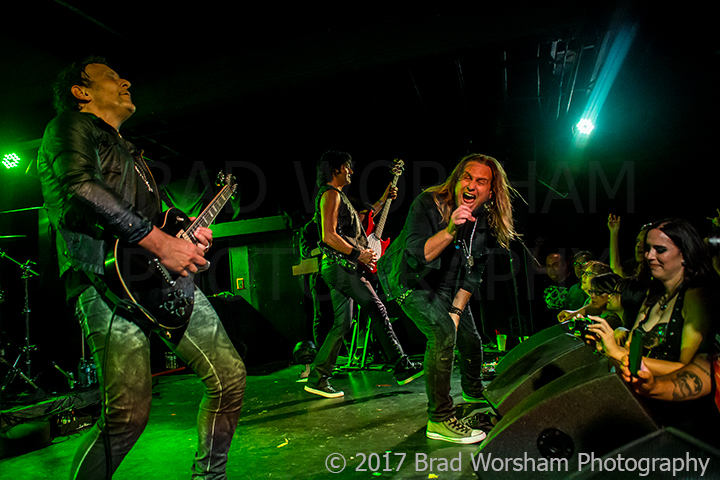 They included four of their originals in the set, perfectly sandwiched between sequences of Dio covers, and these songs blended beautifully with the covers. 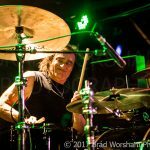 If the Dio band with Ronnie at the forefront made an album in 2016, ‘Heavy Crown’ is what it would most likely sound like, and Last In Line nailed it in every sense. 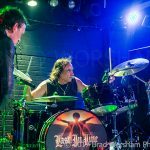 Songs like ‘Devil In Me’ and ‘Starmaker’ present the delightful heavy blues that decorate most of ‘The Devil You Know’ album (2009), which Ronnie recorded with Tony Iommi, Geezer Butler and Vinny Appice under the Heaven & Hell moniker. 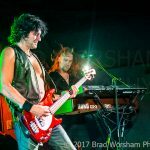 Tunes like ‘Martyr’ provide a more up-tempo variation, and ‘Already Dead’ is simply a well-written song with an easily singable chorus. 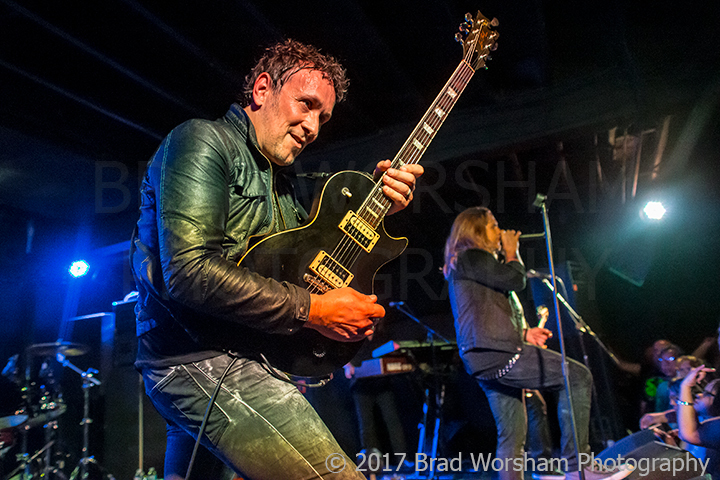 While it was clear that the audience had paid to see this band play the Dio covers, no one begrudged the originals either. 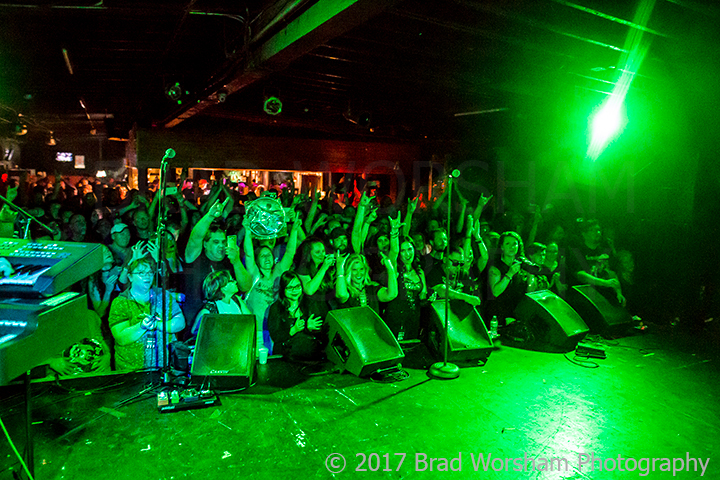 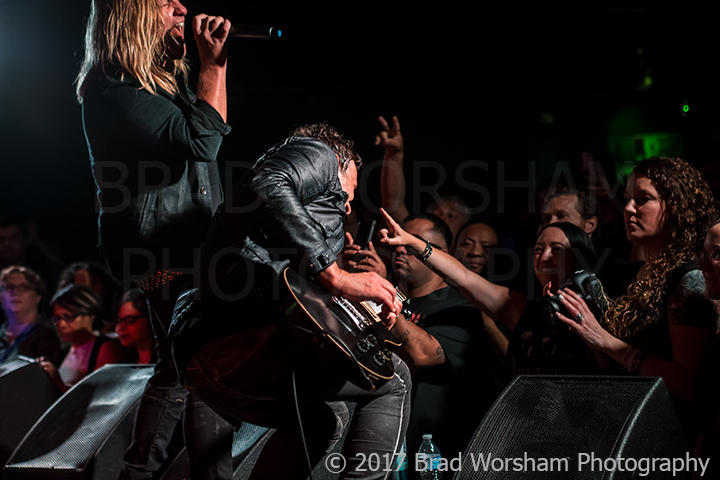 The crowd was in high spirits throughout the Last In Line set and right from the outset, the band induced a smile on everyone’s faces which remained intact for the entirety of the performance. 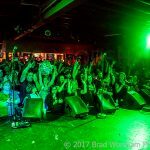 To attend a show merely to see some renowned musicians play a few cover songs is one thing, but to come out of the show totally amazed and overwhelmed is another, and Last In Line certainly instigates the latter with the kind of show they put on. 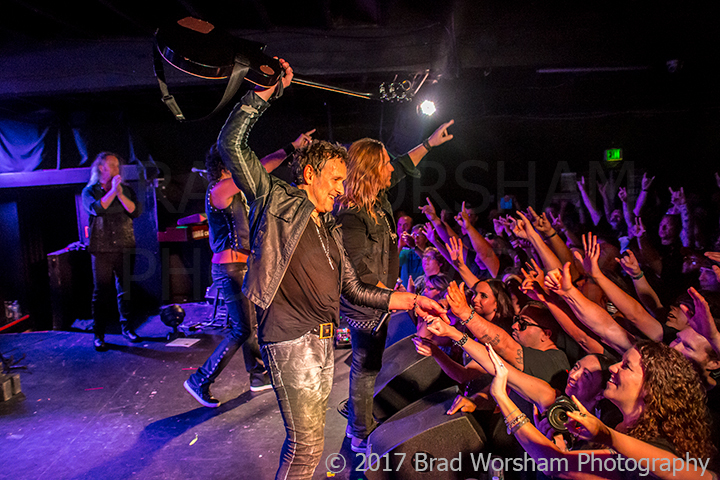 If you love Dio and instead of seeing a hologram “sing” pre-recorded vocals if you want to see real, qualified human beings who not only do complete justice to his songs but are also capable of writing good songs of their own, Last In Line is the band for you.